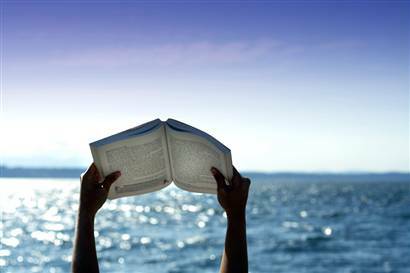 To me, there is nothing like reading a good book by the beach and just simply relaxing. I can be found at the beach on most weekends in the summer and you will always see me there with a book in my hand. Many people, whether it be my students, friends, or family, always ask me what books I recommend for great beach reading. And since I am most definitely a self-proclaimed beach bum, I thought I would compile a list of some of the great beach reads I have read in the past few years. I will showcase a few and be sure to check out my reviews of the titles that have links. I hope you enjoy! Now I'm off to the beach.....have a great weekend! Goodreads says, "Even readers who don't normally enjoy Arthurian legends will love this version, a retelling from the point of view of the women behind the throne. Morgaine (more commonly known as Morgan Le Fay) and Gwenhwyfar (a Welsh spelling of Guinevere) struggle for power, using Arthur as a way to score points and promote their respective worldviews. The Mists of Avalon's Camelot politics and intrigue take place at a time when Christianity is taking over the island-nation of Britain; Christianity vs. Faery, and God vs. Goddess are dominant themes. Young and old alike will enjoy this magical Arthurian reinvention by science fiction and fantasy veteran Marion Zimmer Bradley." Goodreads says, "What if you got away from it all--and then it all got away from you? When her husband gets a new job, Marissa Price leaves the island of Manhattan for the island of Hawaii. Paradise seems like the perfect place to find herself, save her marriage, and reconnect with her daughter. But Marissa discovers her new life is less about beaches and beautiful sunsets and more about cows and lava flows. Their new home is a fixer-upper. But what most needs fixing--her marriage--is the first thing to crumble when her husband announces he wants time apart to find himself. Pulled in opposite directions, Marissa is faced with the most important decision of her life--a choice that will define who she is, what she wants, and where her happiness lies." Goodreads says, "From the author of the multimillion-copy, #1 bestselling series The Sisterhood of the Traveling Pants comes a heartbreaking first adult novel. Ann Brashares's series, The Sisterhood of the Traveling Pants, has made her one of the most successful contemporary authors, shipping more than 8 million copies over the last five years and winning even more millions of passionate fans. Now, like Judy Blume (Summer Sisters) before her, Brashares turns her spectacular gifts to adult readers. 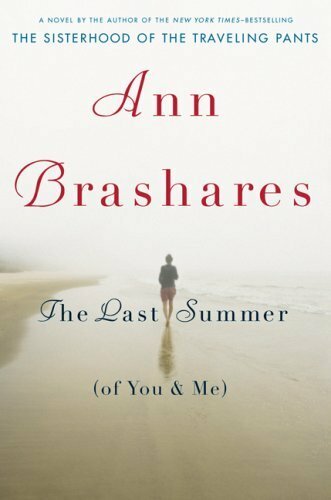 In The Last Summer (of You and Me), Brashares uses her remarkable storytelling, emotional insights, and talent for capturing relationships to weave a rich, textured, mature novel that will resonate as clearly with readers in their forties as in their twenties. 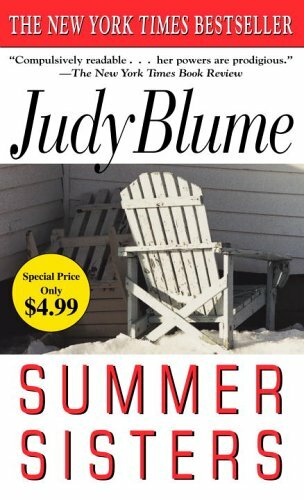 Set on Long Island's Fire Island, The Last Summer (of You and Me) is an enchanting, heartrending page-turner about sisterhood, friendship, love, loss, and growing up. It is the story of a beach community friendship triangle-Riley and Alice, two sisters in their twenties, and Paul, the young man they've grown up with-and what happens one summer when budding love, sexual curiosity, a sudden serious illness, and a deep secret all collide, launching the friends into an adult world from which their summer haven can no longer protect them. As wise, compelling, and endearing as her Traveling Pants series, and as lyrical, thoughtful, and moving as the best literary women's fiction, this novel is sure to win an entire new generation of adult fans." Goodreads says, "Set in the glittering, vibrant New York City of 1950, Lucia, Lucia is the enthralling story of a passionate, determined young woman whose decision to follow her heart changes her life forever. Lucia Sartori is the beautiful twenty-five-year-old daughter of a prosperous Italian grocer in Greenwich Village. The postwar boom is ripe with opportunities for talented girls with ambition, and Lucia becomes an apprentice to an up-and-coming designer at chic B. Altman’s department store on Fifth Avenue. Engaged to her childhood sweetheart, the steadfast Dante DeMartino, Lucia is torn when she meets a handsome stranger who promises a life of uptown luxury that career girls like her only read about in the society pages. Forced to choose between duty to her family and her own dreams, Lucia finds herself in the midst of a sizzling scandal in which secrets are revealed, her beloved career is jeopardized, and the Sartoris’ honor is tested. Lucia is surrounded by richly drawn New York characters, including her best friend, the quick-witted fashion protégé Ruth Kaspian; their boss, Delmarr, B. Altman’s head designer and glamorous man-about-town; her devoted brothers, Roberto, Orlando, Angelo, and Exodus, self-appointed protectors of the jewel of the family; and her doting father, Antonio. 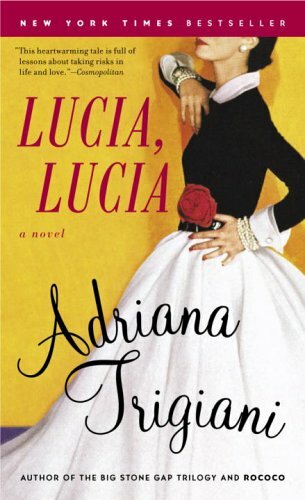 Filled with the warmth and humor that have earned Adriana Trigiani hundreds of thousands of devoted readers with her Big Stone Gap trilogy, Lucia, Lucia also bursts with a New York sensibility that shows the depth and range of this beloved author. As richly detailed as the couture garments Lucia sews, as emotional as the bonds in her big Italian family, it is the story of one womanwho believes that in a world brimming with so much promise, she can—and should be able to—have it all." Goodreads says, "I wonder how the book got to Guernsey? Perhaps there is some sort of secret homing instinct in books that brings them to their perfect readers." January 1946: London is emerging from the shadow of the Second World War, and writer Juliet Ashton is looking for her next book subject. Who could imagine that she would find it in a letter from a man she's never met, a native of the island of Guernsey, who has come across her name written inside a book by Charles Lamb.... As Juliet and her new correspondent exchange letters, Juliet is drawn into the world of this man and his friends--and what a wonderfully eccentric world it is. The Guernsey Literary and Potato Peel Pie Society--born as a spur-of-the-moment alibi when its members were discovered breaking curfew by the Germans occupying their island--boasts a charming, funny, deeply human cast of characters, from pig farmers to phrenologists, literature lovers all. As Juliet begins a remarkable correspondence with the society's members, learning about their island, their taste in books, and the impact the recent German occupation has had on their lives. Captivated by their stories, she sets sail for Guernsey, and what she finds will change her forever. Written with warmth and humor as a series of letters, this novel is a celebration of the written word in all its guises, and of finding connection in the most surprising ways." Goodreads says, "From the Nobel Prize-winning author of One Hundred Years of Solitudecomes a masterly evocation of an unrequited passion so strong that it binds three people's lives together for more than fifty years. In the story of Florentino Ariza, who waits more than half a century to declare his undying love to the beautiful Fermina Daza, whom he lost to Dr. Juvenal Urbino so many years before, García Márquez has created a vividly absorbing fictional world, as lush and dazzling as a dream and as real and immediate as our own deepest longings." Goodreads says, "It’s been so long since Auden slept at night. Ever since her parents’ divorce—or since the fighting started. Now she has the chance to spend a carefree summer with her dad and his new family in the charming beach town where they live. A job in a clothes boutique introduces Auden to the world of girls: their talk, their friendship, their crushes. She missed out on all that, too busy being the perfect daughter to her demanding mother. Then she meets Eli, an intriguing loner and a fellow insomniac who becomes her guide to the nocturnal world of the town. Together they embark on parallel quests: for Auden, to experience the carefree teenage life she’s been denied; for Eli, to come to terms with the guilt he feels for the death of a friend." Goodreads says, "Jenna may hail from the ’burbs of New Jersey, but Green Teen activism is her life. So when her mom suggests they spend the summer at Grandma’s Florida condo, Jenna pleads instead to visit her hippie godmother, Susie, up in rural Canada. Jenna is psyched at the chance to commune with this nature she’s heard about — and the cute, plaidwearing boys she’s certain must roam there. But after a few run-ins with local wildlife (from a larger-than-life moose to Susie’s sullen Goth stepdaughter to a hot but hostile boy named Reeve), Jenna gets the idea that her long-held ideals, like vegetarianism and conservation, don’t play so well with this population of real outdoorsmen. A dusty survival guide offers Jenna amusing tips on navigating the wilderness — but can she learn to navigate the turns of her heart?" Goodreads says, "For Nora Grey, romance was not part of the plan. She's never been particularly attracted to the boys at her school, no matter how much her best friend, Vee, pushes them at her...until Patch comes along. With his easy smile and eyes that seem to see inside her, Nora is drawn to him against her better judgment, but after a series of terrifying encounters, Nora's not sure whom to trust. Patch seems to be everywhere she is, and to know more about her than her closest friends. She can't decide whether she should fall into his arms or run and hide. And when she tries to seek some answers, she finds herself near a truth that is far more unsettling than anything Patch makes her feel. For Nora is right in the middle of an ancient battle between the immortal and those that have fallen - and when it comes to choosing sides, the wrong choice will cost her life." Lucky you, hope you have fun at the beach! Reading there is so relaxing, and one of the best ways to spend summer... haha, I know some self-proclaimed beach bums, myself. These are some really great choices- Hush Hush, Alex Rider, and The Mortal Instruments are some of my favorite books, and I really need to check out Ann Brashares' adult books. 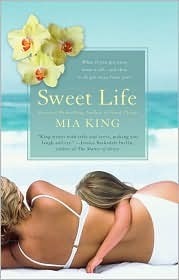 (Her Sisterhood series seems to embody the summer read for me, haha). There are some great suggestions here. Some I've read and others on my TBR list. Great books. I've read every Sarah Dessen book lol. They are so great. I also love ALL of the other YA books you mentioned. :) I want to read The Summer I Turned Pretty so bad! Thanks for the list. I just finished Along for the Ride yesterday. I loved it! A perfect beach read. Thanks for the suggestions--I like how this list is broken into several categories. I need to satisfy all of my reader brain! 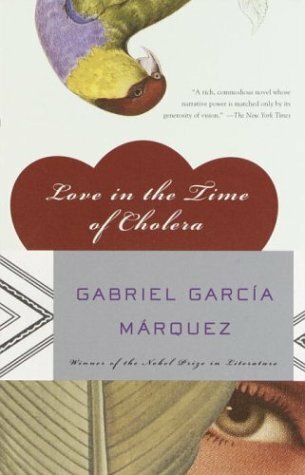 I love GGM and have been meaning to read Love in the Time of Cholera for like ever. Have you ever read A Chronicle of a Death Foretold? Great post-lots of fantastic reading suggestions. I am not fortunate enough to have a beach near me but I will have to check out some of these. Great post. From this list, i've really enjoyed Love in the Time of Cholera and the Time-Traveller's Wife. I read mostly YA, but I hadn't read any of the YA books on the list, somehow. Must add to the TBR! Great list! Thank you for posting it. I'm now reading the Body Finder and it's pretty good so far. Also Along for the Ride by Sarah Dessen sounds good. I have heard of it, but never thought about as a great summer read. Now I may even buy that one. Í am planning to read the Sookie House series, they've gotten so many positive reviews I need to read them. A lot of these books/authors on your list are favorites of mine. Love HP (of course), Emily Giffin, Charlaine Harris, Judy Blume etc etc...sadly, Love in the Time of Cholera was a DNF for me, and I rarely have those! If I read on the beach, though, I'd probably fall asleep or get distracted by all the noise and heat lol. Love this, thanks for posting!! Great lists and recommandations, Christina! 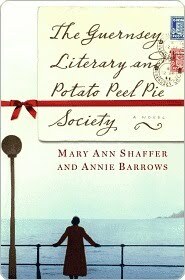 I LOVED The Guernsey Literary and Potato Peel Pie Society and The Time Traveler's Wife when I read them. Thanks for all the comments guys and visiting my post. I appreciate it. I hope you all have a great summer!